The Okeechobee Music & Arts Festival in Florida concluded it&apos;s second day yesterday with a truly one of a kind performance. The festival puts on what they call the PoWoW! A Live Superstar Mashup and this year they managed to enlist Miguel and Arcade Fire front man Win Butler to headline it. Amidst covers of classic rock songs like "Rebel Rebel" by David Bowie, "Sympathy For The Devil" by the Rolling Stones, and "Rock The Casbah" by the Clash, the pair also busted out a sultry version of Drake&apos;s megahit single "Hotline Bling." 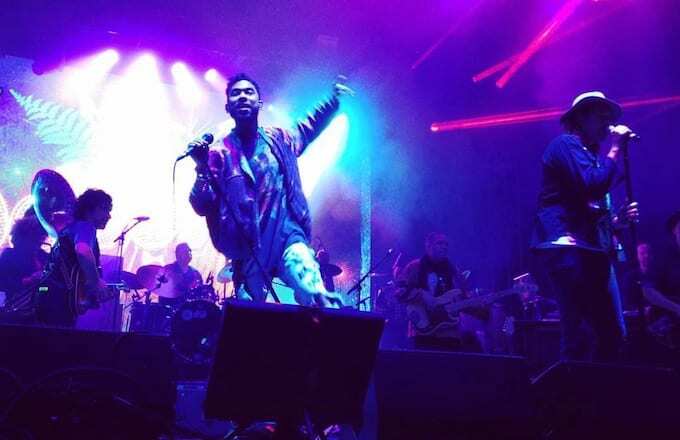 You can watch the entire performance on Miguel&apos;s Periscope here, or check out a short, fan shot clip below.